Relax and enjoy the gardens at Woods Hole Passage after an invigorating day of kayaking at Quissett Harbor. 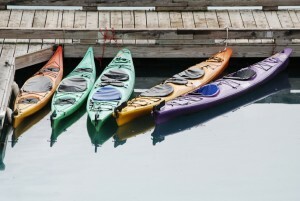 Packages are designed to meet your needs ranging from individual or double ½ day kayaks, to a guided tour by a Cape Cod professional. We can pack a lunch or snacks to go! Prices vary according to season and tours, and will include 2-3 nights stay with a full gourmet breakfast.